While the left focuses on the dangerous normalization of the peeling away of our civil liberties in order to cover up their own corruption, the rest of us are left in shock at what was really going on. The release of the FISA memo that exposed the disturbing behavior of career bureaucrats at the Justice Department and FBI. The memo outlined their conspiracy to eavesdrop on a Presidential campaign opponent. 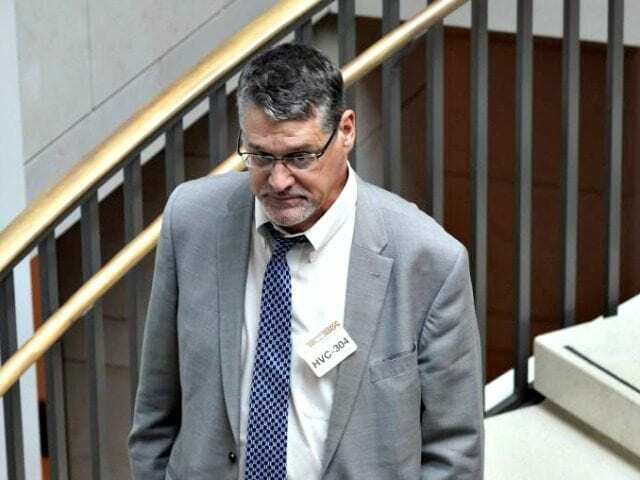 What’s worse, is after the Democrats lost the election, they continued using the fake dossier compiled by Fusion GPS. With the help of their agent, Christopher Steele, these career bureaucrats continued their spying in order to discredit an incoming Presidency. The players within the Obama administration will hopefully be scrutinized and exposed as the House investigators continue combing through the source documents. Their role in the conspiracy to help Clinton win the election may have been one part of a broader strategy that goes all the way back to the 2012 Presidential campaign of President Obama against Mitt Romney. Let’s go back to 2011. Fusion GPS was hired by the Obama for America campaign to perform opposition research against Mitt Romney. The organization is run by former Wall Street Journal reporter, Glenn Simpson. Fusion GPS’s job was to gather research and connect reporters with data to publish hit pieces on demand while their lawyers made the payments and managed the relationships. In early 2012, the Obama campaign launched a political hit job against Mitt Romney campaign donors. On February 2, 2012, Michael Isikoff went on air at NBC News to discuss a Mitt Romney supporter and donor: Frank VanderSloot a businessman from the small town of Idaho Falls, Idaho. He made a million dollar donation to Restore Our Future PAC. Isikoff set up the pitch and Mother Jones hit it out of the park. Rosie Gray is a reporter who is known for her coverage of Occupy Wall Street. In 2012, Gray began covering politics for BuzzFeed. On March 15, 2012, she wrote an article that attacked the same Idaho donor Michael Isikoff and Mother Jones disparaged. In fact, Gray even quoted Chief of the Washington Bureau for Mother Jones, David Corn. He admitted his involvement by explaining that Mother Jones often pulled articles and put them back after correcting non-factual reporting. Corn appeared to have pulled off a successful hit job on a Romney donor. The victim of the coordinated hit on his reputation connected the dots in and filed a lawsuit against Mother Jones and tied the infamous Glenn Simpson, founder of Fusion GPS as a conspirator. Michael Wolf (not the same Wolff of Fire and Fury infamy – that would be too good to be true) worked as a law clerk for the Democratic side of the Senate Permanent Subcommittee on Investigations. Upon further investigation, he conveniently left the Subcommittee to work for Fusion GPS only two weeks before he was caught snooping around Idaho court records. He tried to dig up court records in an attempt to uncover dirt on the Romney donor. His faxes sent over to the Idaho Falls records clerk had the cover stamp with the fax number and name “Glenn Simpson” printed in the header. Fusion GPS owner, Glenn Simpson, wouldn’t say who was paying him for this high-minded slumming but said in an email that Mr. VanderSloot was a “legitimate” target because of “his record on gay issues.” His spreading of false information aligned with the same narrative used by Mother Jones and the Obama campaign. Simpson filed this motion to quash VanderSloot’s subpoena and a special motion to dismiss under DC Anti-SLAPP Statute. 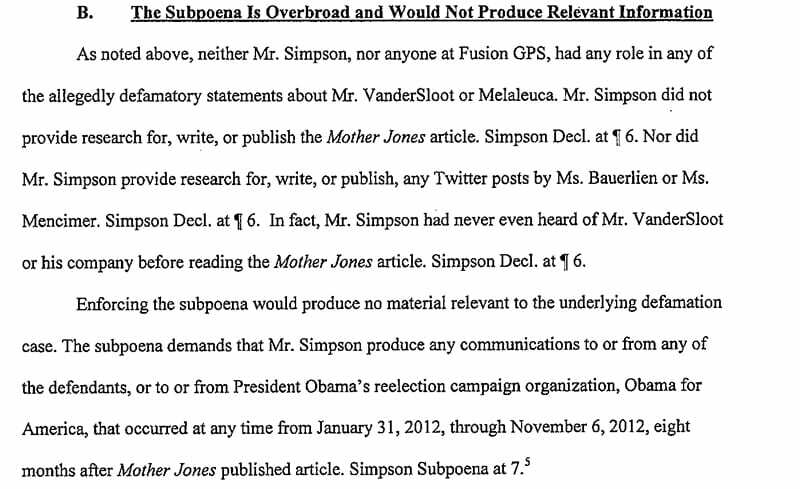 In his statement, Simpson claimed he never heard of VanderSloot until the Mother Jones article came out. The year-end filing deadline for PAC finance reporting was on 1/31/12 many months after Fusion GPS was hired by the Obama campaign to do research on the Romney campaign. Are we really to believe that Simpson did not read the campaign finance reports which disclosed the names of all donors? A million dollar donation was enough to gain attention from NBC reporter Michael Isikoff on 2/2012, so why wouldn’t the opposition research team be involved with coordinating hit pieces to shine a light on this. Keep in mind that this was right after Citizens United and the Occupy Wall Street movement. Donating large sums to candidates aligned with the narrative of being part of the rich and greedy 1% crowd. Either Simpson is grossly incompetent or his statement in this matter does not add up. Within this document, Simpson refused to give up any communications between Fusion GPS and Obama for America. That would be a goldmine of insight into what was unearthed in the FISA memo. The Mother Jones lawsuit was the first widely reported legal attack on the left-leaning media. Peter Thiel was more successful in his proxy fight that led to the demise of Gawker and their trashy news empire. During the 2012 campaign, the most effective attack against Mitt Romney was a secret recording of a private donor meeting where he said that 47% of people who do not pay taxes would not be supporting him. In hindsight, not only was Romney correct, the character assassination of a good man was based on a carefully coordinated attack based on tactics tested early on in the campaign. The infamous 47% video leak story was written by David Corn and published by Mother Jones. The same David Corn quoted in Rosie Gray’s Buzzfeed story attacking Romney’s donor. 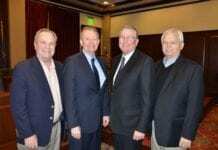 Corn won awards for breaking the story that is credited for helping Romney lose the election. He went on to publish articles that were strategically helpful to the Obama administration whenever it needed to get ahead of events that could tarnish Obama’s image. Shortly after Obama was re-elected, the Edward Snowden story threatened to break the perfectly crafted image of President Obama. On June 24, 2013, Corn wrote a story titled: Ecuador’s Edward Snowden Problem. Corn painted Ecuador as a corrupt regime bent on attacking Obama and using the potential offer of asylum to embarrass the administration. 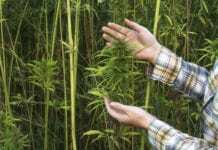 Corn’s story set up the pitch with a narrative exposing Ecuador as unfriendly to the administration. On June 25, 2013, Rosie Gray of Buzzfeed took that pitch and hit a home run. Gray’s story was titled: Exclusive: Documents Illuminate Ecuador’s Spying Practices. The story used leaked documents that exposed how Ecuador was complicit in spying on its citizens and used technology sourced from Israel and purchased through American middlemen. Gray claimed her secret source of the leaks attempted to give the information to Wikileaks (Wikileaks denied this) and that Wikileaks turned them down. This convenient bit of narrative was a clever dig at Wikileaks and their ties to Glenn Greenwald, a key player in the Snowden drama and eventually helped him land in Russia after Ecuador backed away from offering asylum. This looked suspiciously like a leak from the State Department designed to prevent Ecuador from granting asylum to Snowden. Another clever one-two media punch to serve the Obama administration. So much for #TimesUp. Corn was too big to fire fail. According to the FISA memo, Christopher Steele was fired by the FBI for breaking a cardinal rule – speaking to the press about his involvement with the FBI. He spoke to Yahoo News in a story that was published on September 23, 2016. As we now know, Steele was instructed by Fusion GPS to get the story out as quickly as possible to set up an October surprise and help Clinton win the election. Clinton was paying Fusion GPS (Steele) through her lawyers at Perkins Coie. Why would Steele go to Yahoo News? If Clinton wanted to set up a real October surprise, Steele would have used Washington Post or the New York Times. Since Perkins Coie was involved, they turned to reporters connected to Fusion GPS. You see, Michael Isikoff had moved from NBC to Yahoo News and was close to Mother Jones reporter David Corn. Isikoff published his story titled: U.S. intel officials probe ties between Trump adviser and Kremlin. Shortly after the Isikoff’s story went public, Corn published his October surprise story; A Veteran Spy Has Given the FBI Information Alleging a Russian Operation to Cultivate Donald Trump. Rep. Nunes pointed this out in the FISA memo as proof that Steele was leaking his collaboration with the FBI to the press, a serious violation of protocol. This was the second part of the coordinated strategy by journalists with of a record of publishing stories suspiciously aligned with the Obama administration’s one-two punch media hits. 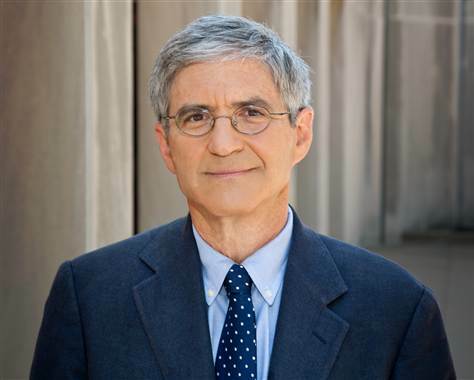 Isikoff and Corn were the only reporters to publish stories with Steele as their source in the coordinate hit on the Trump campaign. It will be interesting to see if any record exists if there were paid to release these stories by Perkins Coie. “There is other (possibly) intriguing information in the memo. But if the goal here is to delegitimize the full FBI investigation, the memo is a swing-and-a-miss. Corn is almost bragging about his role in the October surprise. He mocked Nunes rubbed the connection right in all of our faces. This reeks of liberal smugness. 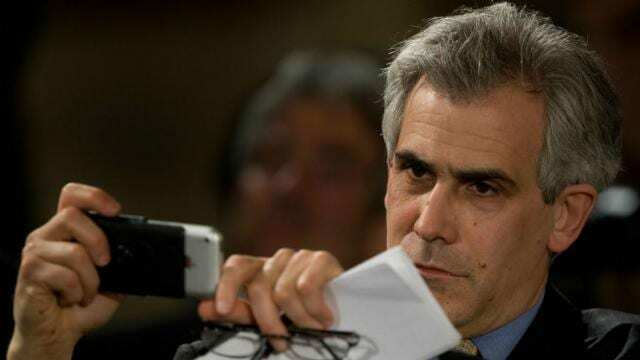 It is clear now that David Corn and Michael Isikoff are all connected to the strategy of hitting “enemies” of Obama. It also seems apparent that Mother Jones and Fusion GPS may have multiple connection points. They may also have been directed by Glenn Simpson’s team at the request of the law firm Perkins Coie (Clinton) to get the Steele dossier in the press using their most loyal reporters to fulfill the one-two punch media strategy and manufacture an October surprise. Perkins Coie not only represented Hillary Clinton’s campaign, but they were also Obama’s lawyers too. In fact, Bob Bauer, a partner at Perkins Coie was tapped to be the White House counsel in 2009 and went back to Perkins Coie in 2011. Mark Elias, a partner at Perkins Coie managed the payments for the Fusion GPS Trump Dossier on behalf of the Clinton campaign and the DNC. Baker & Hostetler was the law firm connected to Russian lawyer Natalia Veselnitskaya. She was reported to be in attendance at the Trump Jr. meeting in Trump Tower. According to reports, Baker & Hostetler hired Fusion GPS in 2016 to smear Veselnitskaya’s opponent in the Magnitsky affair. Veselnitskaya allegedly met with Fusion GPS operatives before the Trump Tower meeting, making the entire meeting look like a set up to prop up data in the Steele dossier. Baker & Hostetler represented Fusion GPS and Glenn Simpson in motion to squash communications between Obama campaign and Fusion in the Mother Jones lawsuit. In 2012 Obama’s team used the IRS to go after Romney donors listed on his “Enemies List”. In 2016, Obama and Clinton’s shared law firm coordinated with Fusion GPS, FBI, and DOJ to manufacture a dossier as the basis to open a FISA warrant to spy on the Trump campaign. However the left tries to spin this, this is is a direct assault on our civil liberties. Rep. Nunes and President Trump did the right thing in releasing the FISA memo and exposed the systemic corruption that plagued the Democratic Party over the last decade. Did you enjoy this article? Follow Idaho Conservatives on Facebook and share your thoughts in comments below.